Abby Barton's TV career is taking off and now she and her husband can have the life they've always dreamed of in a lovely Irish town -- at least, in theory! But when your husband takes you for granted and your teenage daughter hates you, an adoring old flame can spell danger to your seemingly perfect life. Fortunately, Abby has her friends to keep her sane. For starters, her best friend, Sally, owns a beauty salon, and Sally and her husband throw fantastic parties, where there are still more friends to be made. Just be sure to share. Why do you think Abby, Lizzie and Erin think of the Richardsons as the ideal happy family? Why do you think Erin wants to find her family after so many years? With the state of Tom & Abby’s marriage, do you think her affair with old flame Jay was inevitable? Do you think there were better ways for Abby & Tom to deal with their breakup? How did the situation affect Jess? What do you think of Tom’s reaction to Abby’s affair? Why do you think they were able to move on after Jess was found in Galway? There is some tension between Debra and Lizzie when Debra moves back home—why do you think they treaded each other as they did? Do you think Debra will get back together with husband Barry? Lizzie decides to make a list of things to do before she’s 50. If you had to make such a list, what would you put on yours? How has each character changed throughout the course of the book? How have their friendships changed? How does Erin deal with meeting Shannon again after all these years? How does Greg help Erin to accept her? Do you think Shannon will keep in touch with Erin, Greg, and their baby? After Sally received the grave diagnosis, each of her friends wondered, ‘What do you say to someone who’s dying?’ (p. 214). In what ways do Sally’s friends provide comfort? How does Sally’s death affect each of the characters? How did it affect you? 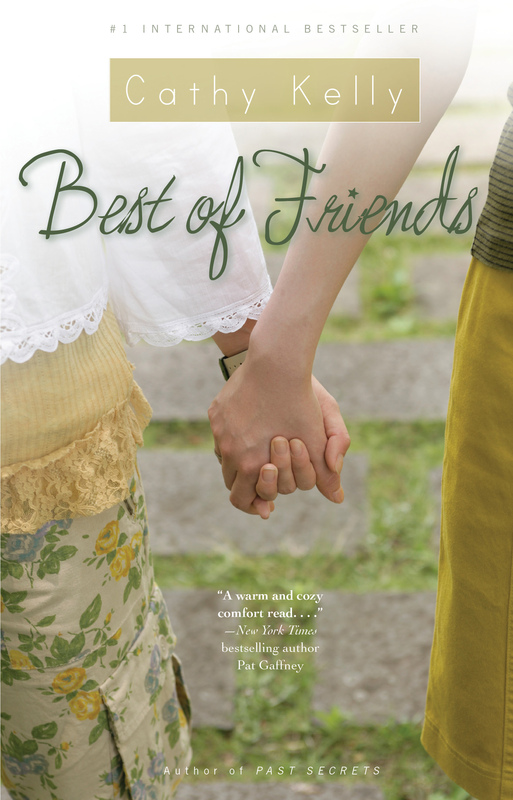 In Best of Friends, each character brings something special to their friendships. Which qualities do you value in a friend? Which ones do you possess? 13. What do you think is the novel’s message? Q. What was the genesis for this story? Q. Where do your characters come from? Are any parts of the story autobiographical? Q. In a previous novel you deal with women trying to balance career, love and family. Is this something that you struggle within your own life? Q. Have you ever done anything daring, like Lizzie’s skydiving? Q. How do you approach writing a novel? What’s your favorite part of the writing process? Q. Which writers inspire you? What are you reading now? Q. In your afterward, you speak of how you knew that one of your characters was going to die when you sat down to write this and how hard it was for you. Why did you decide to have Sally lose her battle with cancer? Q. What would you like readers to take away from this novel? "A warm and cozy comfort read with a timely message gently delivered: Never take happiness for granted. Cathy Kelly has a very tender heart."